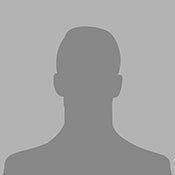 Referral_SL Packet-1112 | Fairview Recovery Services, Inc.
Pat holds a Bachelor’s degree in Psychology from SUNY College at Old Westbury. He has a Master’s Degree in Social Work from Syracuse. 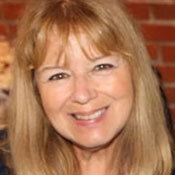 In the position of Clinical Director, Pat oversees all of Fairview’s programs. Pat’s association with Fairview began in 1998 when he was hired as the Coordinator of Fairview’s Supportive Living program. Prior to the position of Clinical Director, he worked as a Fairview contract employee in Owego as the Coordinator of the Tioga County Single Point of Access program. Michele Napolitano holds a Master of Science in Education/Rehabilitation Counseling degree from Hunter College in New York City and is a Certified Rehabilitation Counselor and a New York State Credentialed Alcoholism and Substance Abuse Counselor. Michele began working for Fairview Recovery Services in July, 1995. In prior roles at Fairview she served as Program Supervisor and Program Director at the Addiction Stabilization Center and as Clinical Director of the agency. Before moving to Binghamton in 1995, Ms. Napolitano worked at Metropolitan Hospital in New York City’s East Harlem neighborhood as a psychiatric rehabilitation counselor. Ms. Napolitano’s New York experience also involved interning at St. Luke Roosevelt’s Smithers Adult Inpatient Alcoholism Unit as an Alcoholism Counselor. Michele is an advocate for the homeless in Broome County and also participates in a number of interagency planning groups. Stephen Barton graduated from Broome Community College in 2012 with an Associate’s Degree in Applied Science/Chemical Dependency Counseling. Stephen started his career in the addictions field as an intern for the Addiction Stabilization Center and was soon hired by Fairview as a Program Aide for the Community Residence Program.Shortly thereafter, Stephen was promoted to the position of Case Manager for the Supportive Living Program. In May 2013, Stephen gained additional experience as an Outpatient Counselor for UHS’ New Horizons Program. 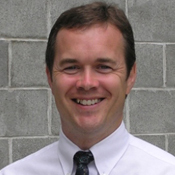 In February 2016, Stephen returned to Fairview as Director of the Addictions Crisis Center. 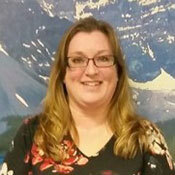 Kristen Towner serves as Coordinator for the Fairview Recovery Services Career Choices Unlimited Voc/Ed Program. Through this position she facilitates and manages all Voc/Ed programs and educational seminars and services. In continuation she also coordinates communication and collaboration with community resources for all FRS clientele. Kristen provides Voc/Ed case management services and counseling on basic vocational and education issues and opportunities, to prepare clients for what they may face. She brings great success to this program through coordination of client flow and individualized case management, while ensuring detailed attention is given to delivering quality services and guided progress through the rehabilitative process. 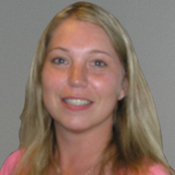 Bridgette holds a Bachelor’s degree in Psychology and a Master’s degree in Social Work from Binghamton University, NY. Bridgette has several years of human service involvement in myriad ways. During Bridgette’s time at Binghamton University, she was an intern at the Binghamton Psychiatric Center and at the UHS New Horizons Alcohol and Chemical Dependency Outpatient Treatment facility. Bridgette was also the Masters of Social Work Graduate Student Organization’s Secretary of the Class of 2017. Additionally, Bridgette had the fortunate opportunity to study abroad in Blantyr, Malawi, Africa. There, she worked with a team of others on a project of asset-based community development that creates locally sustainable micro-finance commerce. Furthermore, Bridgette taught in Public School Districts as well as worked at Binghamton University in the Institute of Biomedical Technology and BioLife Solutions Corporation. Finally, she enjoyed her most recent position as a Program Coordinator at the Broome County Promise Zone, introducing the community school model. This program works to intervene and treat young adults exposed to biological and environmental precursors to substance use regardless of socioeconomic status. Bridgette takes a great deal of pride contributing to her local community any way possible, and is grateful for her welcoming as a part of the FRS, Inc. team. 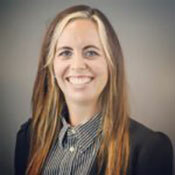 Amy Elliott began her relationship with Fairview Recovery Services, Inc in the Fall of 2009 while fulfilling two concurrent internships in the Community Residence Program. Ms. Elliott quickly excelled from her internship experience to working as a full time Case Manager in Fairview’s Supportive Living Program. She served as Case Manager for two years before being promoted to the Shelter Plus Care Program and ultimately achieving her current position as the Shelter Plus Care Program Coordinator. Ms. Elliott graduated with honors from Broome Community College with an Associates in Applied Science of Chemical Dependency. 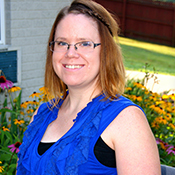 Allison Bruet earned an Associate’s Degree in Arts, Liberal Arts & Sciences from Broome Community College in 2010, and continued on to graduate with honors from Marywood University with a Bachelor’s of Science Degree in Psychology. She is currently attending classes at Broome Community College to meet OASAS educational criteria in Chemical Dependency for credentialing as a CASAC. Allison gained experience working for three years at the Children’s Home of Wyoming Conference before joining the Supportive Living team at Fairview Recovery Services. Allie has worked in the Supportive Living Women’s Program for two years, and has recently been promoted to Program Coordinator. Tina holds a Bachelor’s degree in Social Work from Mansfield University and a Master’s Degree in Social Work from Marywood University. Tina’s association with Fairview began in 1998 when she was hired as a Case Manager at the Halfway House and later moved on to a position as the Family Empowerment Worker in the Women and Children’s Supportive Living program including participation in Shelter Plus Care. In December 2003, Tina gained additional experience as a contract worker for the Tioga County Department of Hygiene, Alcohol and Drug Services; providing outpatient treatment to substance abusers and MICA clients. Tina returned to Fairview fulltime in March 2005 as Director of the Addiction Stabilization Center which included participation on the Binghamton City Drug Court. Tina held this position until July 2007 when she took over as the MICA Residential Services Coordinator; allowing Tina to utilize her Clinical Social Work expertise. Currently, Tina also serves as a committee member on the Broome County Family Violence Council. Dawn VanKuren holds a Bachelor of Science degree in Human Development from Binghamton University. She joined Fairview in 2016 with over 15 years of Case Management experience, working with local non-profit agencies who serve dually diagnosed, mentally ill and homeless individuals. In addition, Dawn has served on several community service committees. Prior to her experience in the non-profit sector, Dawn was an Administrative Assistant with a large manufacturing corporation and a local government entity for a combination of 15 years experience. In her current position, she provides administrative support to the Executive Staff and Board of Directors.